Finally, a good use for an old Prius. If you're a fan of the previous incarnation of Top Gear, you probably remember the episode where the show roasted the Toyota Prius for the amount of damage building one does to the environment. Then when the car was scrapped, the batteries would never decompose after they were done being used in the car. The whole thing was a lot less "eco friendly" than most people believed, but reports that Toyota has just announced a very important project that will repurpose old Prius batteries for something useful. Toyota is calling this a "verification project" to see how it can best make use of the old batteries. The Japanese automaker plans to build a 10,000kW storage battery that is made up of 10,000 old Prius and iQ batteries. This new battery would store energy from the grid during times of low use. The battery would also store energy from renewable sources such as wind and solar farms, which all have unpredictable energy generation patterns. The stored electricity from the battery would then be sent back to the grid during times of high use. Toyota is working with Japanese utility provider Chubu Electric Power on this project. If the verification project is successful, the battery will be built in 2020. 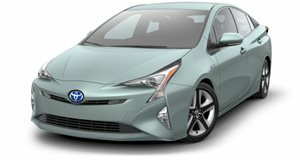 Toyota believes that the used batteries, "even with reduced performance levels,” can “handle adjustments in energy supply and demand." This will allow electricity suppliers to “manage frequency and voltage fluctuations in power distribution systems.” Toyota will start by using the old nickel-metal hydride batteries, but the newer lithium-ion batteries from the will be used by 2030. We are happy to see that Toyota is repurposing old Prius batteries. Now Prius owners will have one more reason to rant about how eco friendly their cars are.